The Spirit of Hawai'i Comes to Sam's Town! 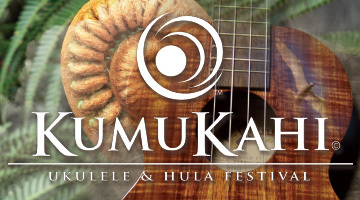 Celebrate the spirit of hula and ukulele at the 7th Annual Kumukahi Ukulele & Hula Festival at Sam’s Town. Kumukahi provides a platform to honor the foundations of ukulele and legacy hula (dances inherited from previous generations), the stories that come with these songs, and the work of communities that uphold these traditions. The festivities commemorate the unique culture of the people of Hawai’i. Hula competitions will be held throughout the festival, and will lead up to the awards ceremony that will be held on Saturday. Kick off the two-day festival on Friday, August 9, 2019 with several fun-filled activities, including performances by Ukulele, Kupuna Group, as well as Kane, Kupuna, Makuahine and Wahine soloists. On Saturday, August 10, 2019 festivalgoers can enjoy more events with Keiki Kane, Kaikamahine, Wahine Group, Kane Group, Kahiko and ‘Auana and Makuahine Group ‘Auana. This event is all ages. Management reserves all rights.